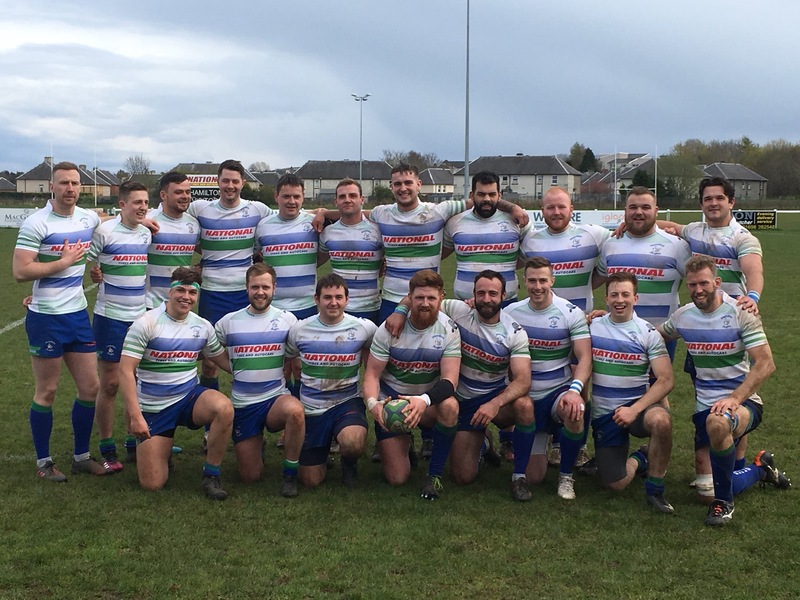 Hamilton Bulls returned to National League 1 on Saturday with the stiffest possible test visiting Gala Rugby Club, and the borderers showed the young Bulls the size of the task ahead in this division. However, despite the score line - Gala 55 Hamilton 40 – coach David Gemmell was able to find many positives from this first outing. Hamilton’s travelling support received great encouragement from the opening exchanges. Hamilton showed their intention to run the ball from the kick off and but for a spilled pass could have gone the length of the pitch. Good defence gave McLeish the chance to kick downfield for territory. He repeated the dose to take Hamilton inside the Gala 5 metres. From his next crossfield kick Ben Plant ran in unopposed and Mcleish added the extras from wide out. However Gala hit back immediately when their full back entered the line in midfield and found the way clear to the line. Conversion missed. Bulls’ never-say-die spirit came to the surface in the second half which they edged 26 – 22 picking up a scoring bonus point. Bulls brought on all their subs at the start of the half, and they brought renewed energy, although scrum penalties were hampering their efforts. None the less, after a good break down field by substitute McQueen, Hamilton showed slick handling, culminating in Craig Inglis touching down between the posts. Game on! Bulls survived a scare when Gala’s left wing knocked on diving for the line. Bulls stuck with their attractive attacking style launching attacks deep into Gala territory but too often the final pass went to ground. The Bulls scrum began to disrupt Gala’s possession giving more encouragement to Gemmell’s young team. Taz McLauchlin was next to come close but was held up just short. Bulls’ Scrum again forced a penalty and a yellow card for Gala’s No 7. Bulls took advantage immediately with slick handling out to Craig Inglis for his second. 43 – 28 with 15 minutes to go and Bulls scented an upset could be on the cards. However Gala responded and snuffed out any real hope of a comeback with a great line taken by their centre on the inside shoulder for a try under the posts. Gala played the last few minutes with 13 players after two yellow cards. Despite this the game, which had been played in great spirit at a frantic pace saw further Hamilton tries by the pack who won a penalty try and Skilling, and a final try for Gala by their right winger after some good offloading. Final score 55 – 40. Any visit to the borders is a tough examination and coach Gemmell can be reasonably happy with the work put in over the summer. The set piece was solid, defence was organised and attack was inventive. They were undone by Gala’s purple patch in the 10 minutes before half time and some inaccuracy at vital moments in the second half.